Wham! Delphi, What a Night! Wham! Since 1994, Glasgow’s Celtic Connections festival has transformed the arty city’s winter into creative goldmine and if you didn’t even consider exploring it then you should perhaps think about getting out more. The colourful indie rock group Delphi’s contribution was a high octane set in Broadcast that left attendees uplifted. If one tries to read into Delphi and dive into their musical depths then they will face some difficulty. With their YouTube, Spotify and Soundcloud accounts needing a definite update, no obvious Grooveshark presence, they definitely need to find a means to give more fans an access to their tunes. An EP is hopefully going to become available soon which should satisfy some of the hungry. Details about the four groovers are sparsely available as well and interviews seem none existent. The band features passionate drummer, Euan Lyon, enigmatic lead guitarist Kieran, captivating and delightful bassist and vocalist, Matt Mcleod, and energetic and magnetic lead vocalist Murdo Mitchell (apologises there to Kieran as I have failed to find the full details of your name). At Broadcast, Delphi were supported by Who’s Oliva and The Asuras. These local independent bands set of the night with a bright pop. Who’s Oliva have a dreamy soft rock sound that, at times, was entrancing. Max Murphy had a wonderful presence on stage. His charming sense of humour splashed out and uplifted the crowd. Colette McLaughlin’s powerful vocals are like honey drizzled over their beautifully written songs. Their sound was easy to get lost in. 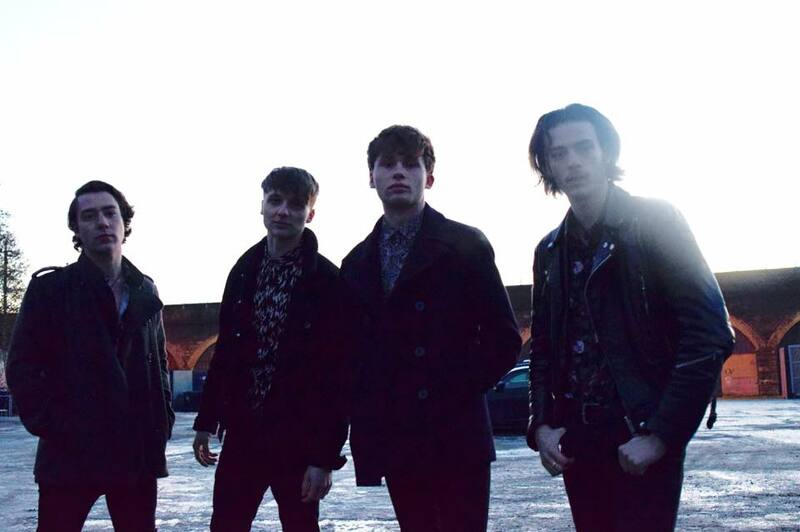 The Asuras are a punky indie group of lads. Their set is colourful and has plenty of youthful spirit. Maybe too much as a subtle conflict between members unfolded on stage. This conflict spread across the whole group and, though they kept cool heads, it definitely flattened their set. Conor Hepburn is dynamic on stage where as the rest of the band seem very inward. Then it was time for the night’s main ensemble. The place was relatively busy but it was in no way crammed. Which was a shame as Delphi seems like a band that would really respond to bustling, rambunctious audiences. The crowd came across quite reserved which contrasted with the vibrancy of what they were listening to. Lead vocalist, Mitchell, is every bit the modern punk while performing. The whole band has style and together look effortlessly trendy. The looked relaxed and seem to be people who to live in the moment and they looked to be enjoying that moment at Broadcast hugely. Some of their melodies are light-hearted but their emotional depth and creative intelligence is unmistakeable. Dephi are definitely a band to keep an eye out for and one that indie rock fans should jump at a chance to see. They are in the process of developing their presence in the national music scene and though they are in their infancy, there is bright future for this band.